I'm not sure what has been going on lately, but all of the books that I seem to be "randomly" selecting to read all have had a similar theme: Christianity as we have known it in Western culture has missed the point of what it means to be Christian. But that's kind of the point that Chan is trying to make. LOTS of Christian-y people give lip service to the radical love that they have received from God and are in turn supposed to share with the world. VERY FEW people actually live the new reality of the true Jesus-Follower. Chan writes: "I wrote this book because most of our talk doesn't match our lives. We say things like 'I can do all things through Christ who strengthens me,' and 'Trust in the Lord with all your heart.' Then we live and plan like God doesn't even exist." Chan begins Crazy Love by introducing the reader to a holy, beautiful, terrible, wonderful, fearful, glorious, righteous, merciful, powerful, loving God. He even shares videos to help the reader capture the feeling of how God is pretty dang big and awesome and we... well, sort of aren't. 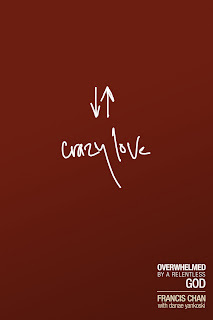 You can watch the videos yourself at www.crazylovebook.com. Chan doesn't waste any time, however, hitting the reader right below the belt. His ENTIRE CHAPTER on what it looks like to be a lukewarm Christian really convicted me. I saw myself far too much in his descriptions. Unfortunately when he described what it looked like when a person is crazy in love with God I had a hard time ascribing all of his descriptors to my own life. It was not pretty. Like a lot of neo-Evangelicals these days, Chan acknowledges that being a Christian isn't just about getting saved, it's about what you do once you take the step to follow Jesus that "makes" you a Christian. But like a lot of neo-Evangelicals these days, Chan also unequivocally states that confessing Jesus as "Lord" is the only sure way to begin that process. I particularly enjoyed the last section of the book where Chan shared several stories of people who exhibited the crazy love of God after first responding to the crazy love of God. Not one of the stories that he shared was of a nice, quiet little Christian-y person who occupied space in a pew, paid their taxes and read Our Daily Bread once a day. These were people who he characterizes as "obsessed." And obsessed people do some pretty radical things. 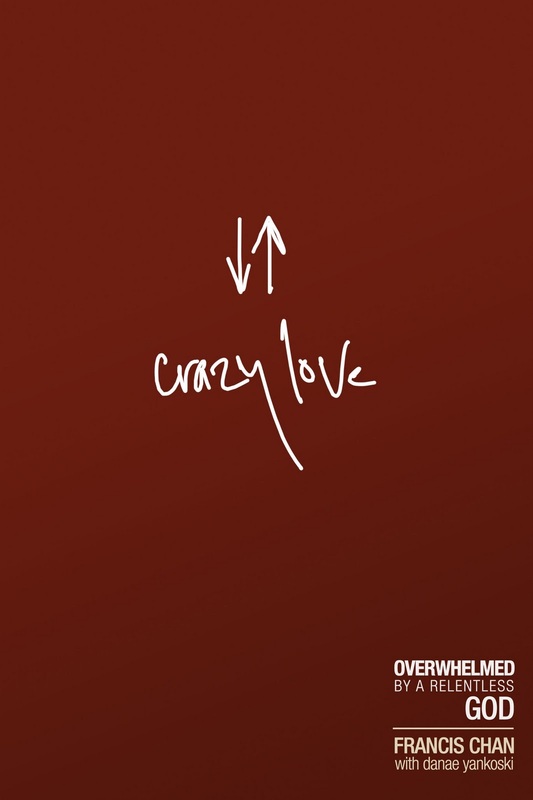 I recommend Crazy Love as required reading for a couple of different groups: church leaders & everyone else. I say church leaders first because if church leaders don't wake up and begin to lead boldly and with courage, the Church is headed for some rough seas. Like Chan, I get weary of the way Christians spend far too much of their time worrying about their church buildings, and the "right" way to worship. I grow weary of the way the Church as become obsessed with it's own self-preservation rather than being obsessed with Jesus. Perhaps it's time that I take to heart what Chan is talking about here and begin a revolution in my own heart and life.